This pathway provides guidance on the imaging of adult patients with new onset, non-traumatic knee pain. 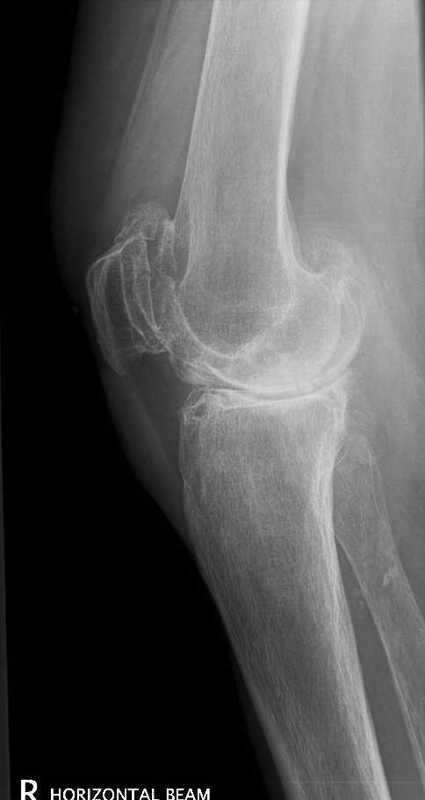 Image 1a, 1b, 1c and 1d (Plain Radiograph): Advanced degenerative changes of the knee joints are demonstrated bilaterally affecting predominantly the medial compartments. There is lateral translation of both tibiae with varus deformity present bilaterally. 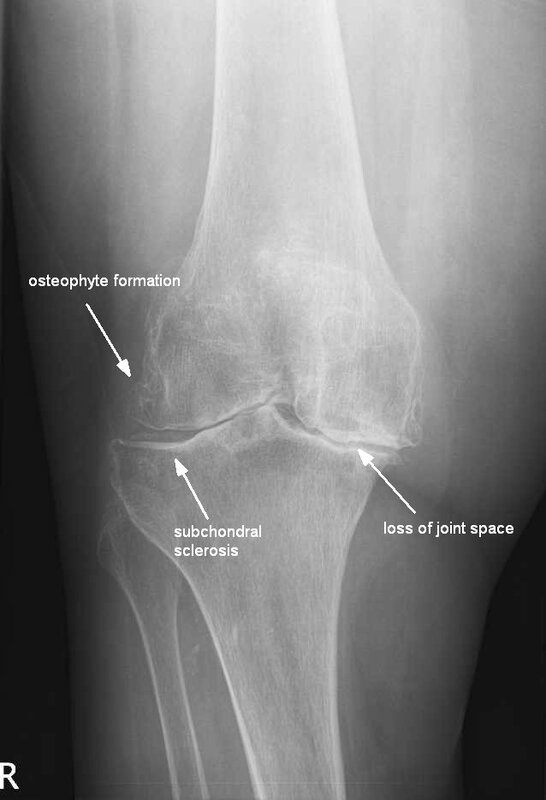 Osteoarthritic changes are seen in bilateral patello-femoral joints as well. Marked generalised osteoporosis is noted. Zhang W, Doherty M, Peat G, Bierma-Zeinstra SMA, Arden NK, Bresnihan B, et al. EULAR evidence-based recommendations for the diagnosis of knee osteoarthritis. Ann Rheum Dis. 2010;69(3):483-9. Morgan B, Mullick S, Harper WM, Finlay DB. 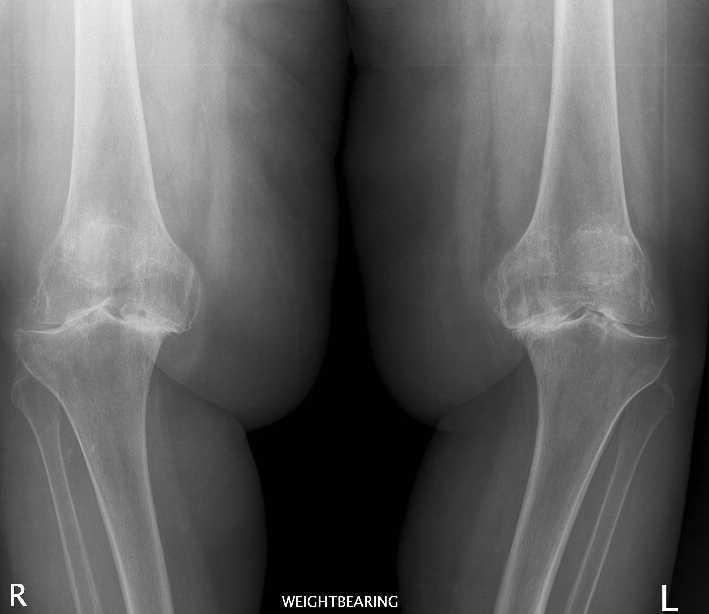 An audit of knee radiographs performed for general practitioners. Br J Radiol. 1997;70(831):256-60. Pineda C, Espinosa R, Pena A. Radiographic imaging in osteomyelitis: the role of plain radiography, computed tomography, ultrasonography, magnetic resonance imaging, and scintigraphy. Semin Plastic Surg. 2009;23(2):80-9. Butalia S, Palda VA, Sargeant RJ, Detsky AS, Mourad O. 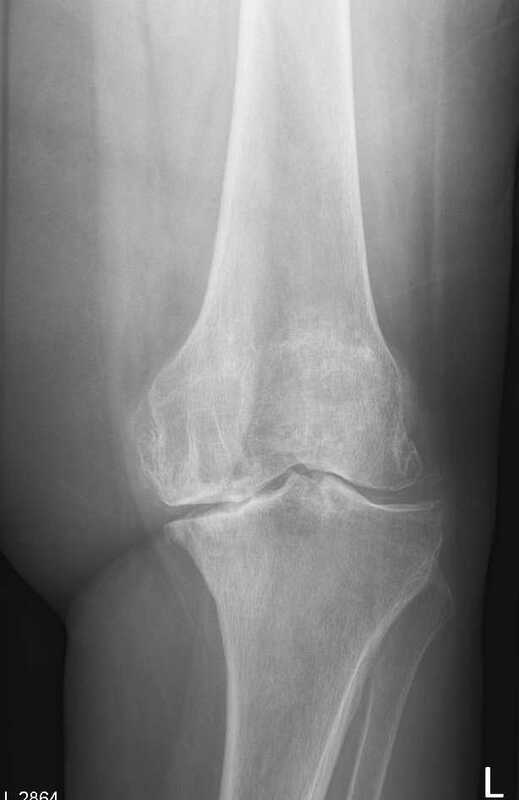 Does this patient with diabetes have osteomyelitis of the lower extremity? JAMA. 2008;299(7):806-13.